Regular readers will know that I’m a GlenDronach fanboy. For proof, just look at me fawning over the 21 year-old Parliament, a whisky I will never be wealthy enough to buy by the bottle. Luckily, GlenDronach 12 year is still good, and still affordable. Once in awhile, though, a fanboy likes to branch out and experience those B-sides and concert bootlegs to experience his or her favorite from a wider range of perspectives. Expand the horizon, if you will, experience things more fully. Unfortunately, there’s something about hearing grainy, unmastered versions of your favorite songs, where the artist clearly sounds out of breath and the drummer is probably hungover. For me, anyway, it kills the illusion of mastery. Now that I’ve wrung every bit of value out of that tortured metaphor, we’ll continue to the whisky. 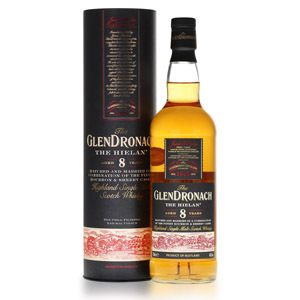 GlenDronach The Hielan’ is an 8 year-old ‘Dronach that only seems to retail in the UK. The whisky comes from a combination of ex-bourbon and ex-sherry casks, which makes me think it’s an attempt to compete with a number of “double cask” expressions proliferating on the market such as The Balvenie DoubleWood 12 year. It seems odd to me to compete with a popular $40 whisky by releasing a $40 whisky that is 4 years younger, but nobody asked me. At least it has an age statement. Nose: Spirity, with buttered rum cake, green apple, and very faint chocolate. A brief rest in the glass reveals a layer of sulfurous banana (the overripe variety). Palate: Thin body. Aggressive tongue burn. Hazelnuts, black licorice, and some assorted dried fruits. Finish: On the short side. Finally some real fruit, with sherry-derived raisins, dates, and dried apple. Fades quickly without much evolution. With Water: The addition of a few drops of water brings nothing new to the party, either to the aroma or the tongue. I could take or leave water with this one. Overall: Frankly, there is a reason that most good single malt is aged in excess of a decade, just like most good music is made with care, time and money in the studio. It matters. 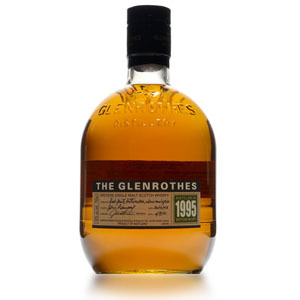 This is not markedly better than blended scotches or NAS malts that are priced lower, and the only value to the admirer of GlenDronach is to highlight how vital those extra 4 years of sherry maturation are to this distillery’s output. The aroma is too spirity and the fruit notes are sparse. The tongue burn is too hot, although the flavors are nice. The finish is too short. The addition of some ex-bourbon barrels to the vat robs the expression of GlenDronach’s house character. It’s not a bad dram, certainly, but it’s not even remotely close to the quality of GlenDronach 12-year, which is only a few bucks more. No contest. Founded byJames Allardes in 1826, GlenDronach distillery, after trading hands several times, was sold by Pernod Ricard to the Benriach Distillery Company in 2008. At that time, they announced a new style for the distillery flagship 12-year-old bottling, which was released in 2009. We can expect to see other changes in the distillery’s lineup. Fittings include a copper mash tun, Oregon pine washbacks, four steam-heated copper spirit stills and defunct floor maltings. While it sources the same malted barley as Benriach Distillery, either the water or the workings at GlenDronach yield a bulkier, heavier spirit that takes to ex-sherry casks very well. So You Think Scotch Is An Expensive Habit? 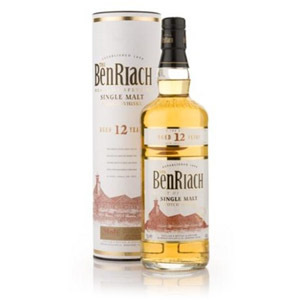 I have periodically seen this one at the LCBO here in Ontario and I’m fairly certain its price is almost identical to Glendronach 12, if memory serves correctly. I find some peatier whiskies work at younger ages, but even the Glendronach 12 can feel a bit sharp when it’s freshly opened. A month of air exposure usually settles it down and brings it to that Goldilocks zone. I don’t think a younger Glendronach interests me either. Thanks for the review. The 8 yr old is here in Alberta as well. 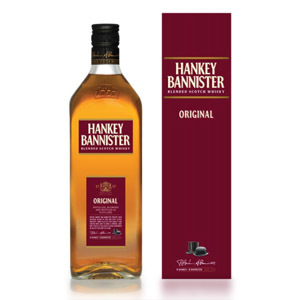 Its a basic entry level Scotch that is easy to drink and won’t cost a fortune. It definitely isn’t the 12 yr old but it’s still not bad.